2 Clear Valentines themed Bubble balloons and 4 Red Valentines themed foil balloons helium filled. Weighted with a decorative base and mini l.e.d lights. The Bouquet contains an assortment of bubble and foil balloons. 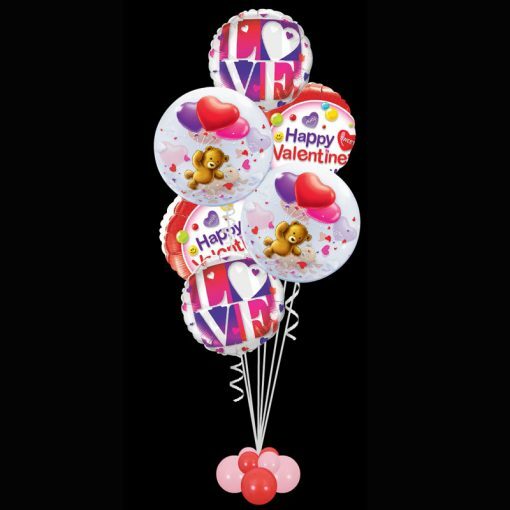 A lovely balloon bouquet to be delivered to any office, workplace, home or even Restaurant.